This is my standard solo build for the classified Striker set. This particular build abuses the synergy of Commanding, Determined, and enemy-dense content i.e. the Resistance. In many cases it is easy to maintain 100% uptime on Tac Link. Key parts of the build are a weapon with Determined in the free slot with the other two talents being Destructive and Commanding. 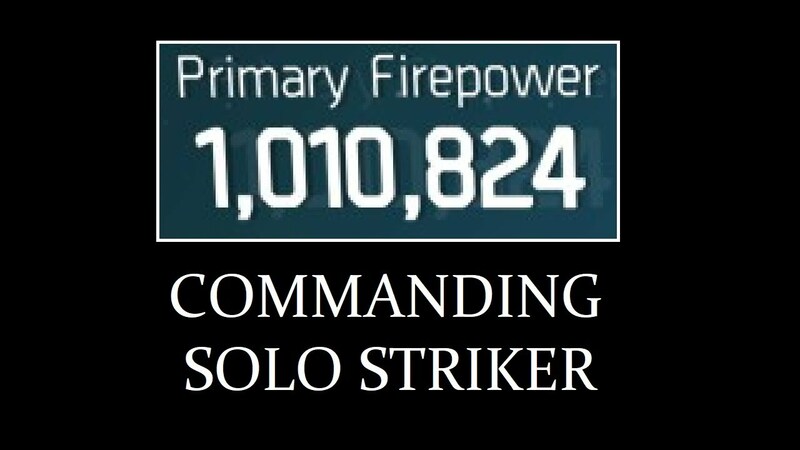 One piece must be rolled to electronics to meet the stat requirement for Commanding. Two other pieces are rolled to Stamina and the remaining two are rolled to Firearms. The 6k Stamina threshold is met by using 4x purple stamina mods with DTE and 1x purple firearms mod thereafter. Performance mods are less important but I run with 4x smart cover damage resilience as there aren't many others that are useful; 26% DR on the smart cover is pretty nice. Smart cover is very helpful for keeping your weapon under control while using Tac Link. Ammo cache is a must in resistance but can be substituted for other things like pulse in other content. I run this but without the purple mods and still have the 6k threshold but I feel like the video was done in a lower tier. @PDX Target. I know I'm not OP but if you're playing this build with another person you want to be the one killing everything, so you want them to enable you. Get them to run a strong pulse and maybe something for crowd control like flame turret or flashbang, or a second heal even though it's not really needed. Mp5 might just be for data breaches or when you have to move so you have a second type of ammo maybe. As an FYI, the pulse provided by Smart Cover: Concealer doesn't provide any damage benefit as normal pulses do, it simply 'marks' the targets with a pulse. To increase damage further with the build you could use Precision talent and any other Smart Cover mod (basic might actually be best since it has the 30s duration and best stats otherwise).